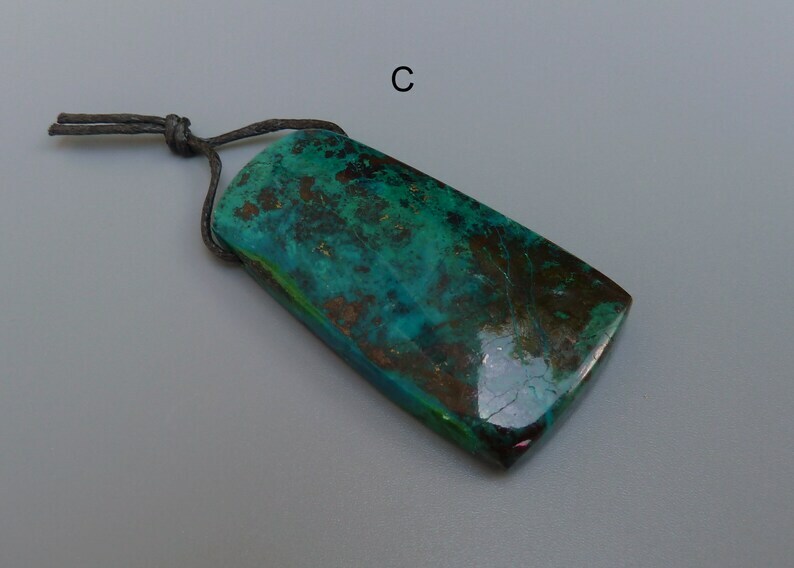 This listing is for one large Chrysocolla drilled pendant bead. The colors in these exquisite gemstone pendants include bright turquoise blue, bright and dark greens, copper brown. The fourth photo shows the back sides of the beads.